Gagarin fan art contest: hail to the winners! 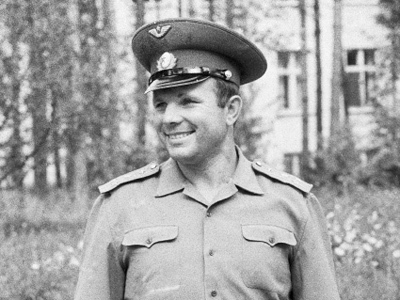 As part of the 50th anniversary celebrations of Yury Gagarin’s space flight RT launched an easy-to-enter contest. Now that April 12 has arrived, it is time to congratulate our winners. 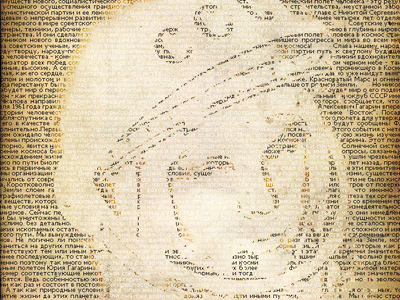 We asked our readers to send us their creations incorporating the image of Yury Gagarin, the first man in space. Over three weeks we received some 40 submissions, although we could not publish some of them due to copyright restrictions. Most of the works are paintings and collages. Some were done in charcoal and oil, but the majority of authors used graphic editors like Photoshop. 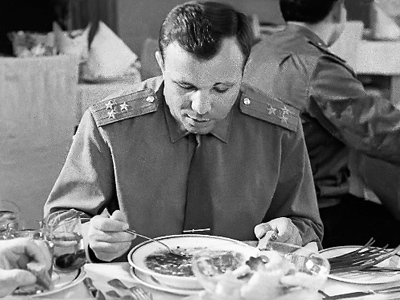 Nobody sent us a Gagarin pie, got a tattoo of Yury’s face on his or her behind or cross-stitched embroidery of the man, as we secretly hoped. But Otto Vierhout from Amsterdam came up with an interesting decorative tile design. We received submissions from the US, India, the Philippines, Russia, the Netherlands and France. The contest’s leaders were Anna Khlystova from Krasnodar, Russia and author Rootcat from France, who preferred not to reveal his true name. Unfortunately, Rootcat sent us his work in the last days of the run, while Anna submitted hers at the very beginning. She had more time to win praise and ended up with almost a third of the votes (32%). Rootcat scored second place, while the Warhol-esque painting by Matt Sesow in Washington DC, was rated third-best. We will be getting in touch with our winners to present them their hard-earned prizes. And we thank all the participants from across the world. Stay with us for more entertaining events! 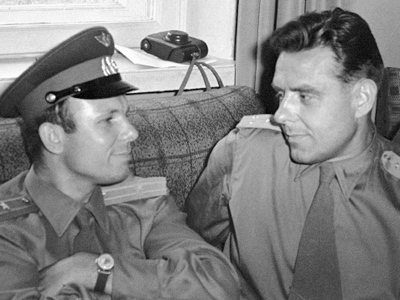 "Gagarin looked just like everyone else"